U.S. mortgage rates fell for the second straight week to the lowest point in five decades, but they may not be enough to jump-start the housing market. 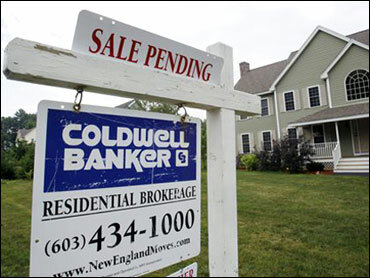 Mortgage company Freddie Mac said Thursday the average rate for 30-year fixed loans dropped to 4.57 percent. That's down from the previous record of 4.58 percent set last week and the lowest since Freddie Mac began tracking rates in 1971. The last time rates were lower was in the 1950s, when most long-term home loans lasted just 20 or 25 years. Rates have fallen over the past two months. Investors, concerned with the European debt crisis, have poured money into the safety of Treasury bonds. Treasury yields have fallen and so have mortgage rates, which tend to track yields on long-term Treasurys. However, low rates have yet to fuel home sales. The housing market has slowed since federal tax credits for homebuyers expired at the end of April. Rates on 15-year fixed-rate mortgages increased to an average of 4.07 percent, up from 4.04 percent last week. That was the lowest on records dating to September 1991. Rates on five-year adjustable-rate mortgages averaged 3.75 percent, down from 3.79 percent a week earlier. That was also the lowest on Freddie Mac's records, which date back only to January 2005. Average rates on one-year adjustable-rate mortgages fell to 3.75 percent from 3.80 percent. The rates do not include add-on fees known as points. One point is equal to 1 percent of the total loan amount. The nationwide fee for all types of loans in Freddie Mac's survey averaged 0.7 a point.